Want to join us in making a difference? 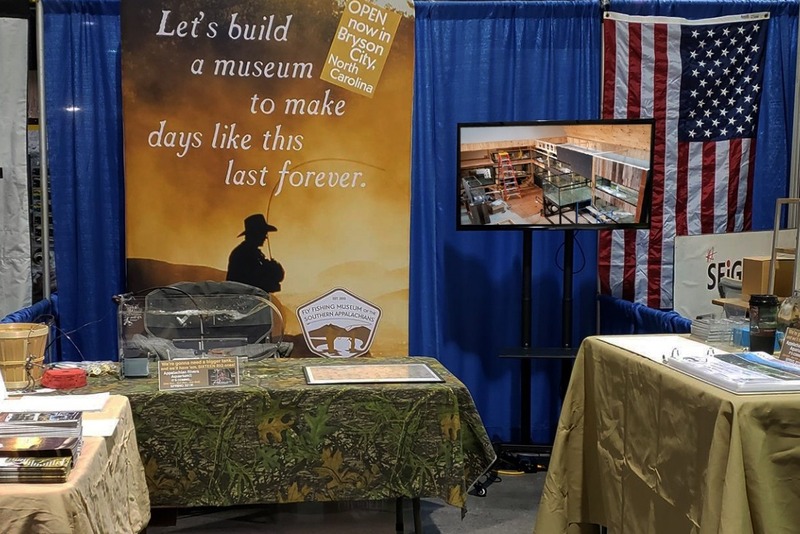 My wife Dianne and I are raising money for an events and trade shows display set for the Fly Fishing Museum of the Southern Appalachians and Appalachian Rivers Aquarium. Any donation will help make an impact. 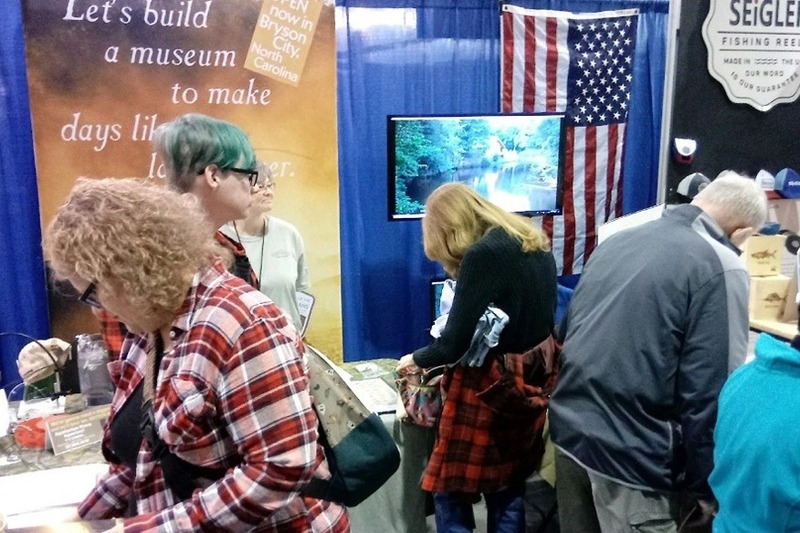 The multimedia setup will help attract more visitors and members and the ease of assembly and compact, portable design will facilitate recruiting volunteers to staff the booth at trade shows. (See TV stand assembly video .) Thanks in advance for your contribution to this cause that means so much to us. The museum and aquarium provide centers for learning the history of fly fishing and the arts, the sciences, the crafts and the skills of fly fishing as well as insights into the fresh waters which beckon us all. The purpose of the museum in particular is to capture and preserve the history of fly fishing in the region, since it is being lost daily as our old timers pass away and as modern methods and new generations of anglers move fly fishing forward through technology. The aquarium, which opens in 2019, will also serve as a regional Trout in the Classroom and will feature the Aquatic Science Center. 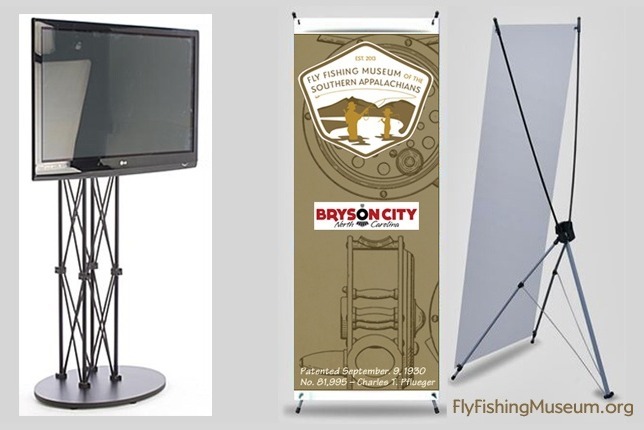 The photos below are of the 2019 Atlanta Fly Fishing Show setup with an outdated and unwieldy backdrop and a borrowed relatively small flat screen and space consuming, hard to transport and shorter than desired stand. Three tables are made necessary for materials due to having just the one screen in use... further consuming critical space. Somewhat typical of the traffic we were blessed with on both days of the 2019 Atlanta Fly Fishing Show . A fly testing tank on the rear table featured ‘Jay the Cray..fish,’ created and demonstrated by Patricia, a member of the Museum’s Fly Tyers Guild. The crustacean's crazy antics and his swimming coach contributed greatly in our sharing about the Appalachian Rivers Aquarium opening Spring 2019. The aquarium will feature a working regional TU Trout in the Classroom exhibit and the exciting Aquatic Science Center coming both coming Fall 2019.